1. Always test in natural light: We have all heard this one but I thought it would be useful to address this. The lighting in many beauty stores are very bright or illuminating and some are even yellow which means the way the foundation looks when tested in store on your skin may differ from how it would look in natural day light. 2. Trust your instinct: It can be very hard not to feel pressured to buy a foundation especially when it appears the sales lady has wasted spent so much time trying to sell you a product while offering you some good deals and discounts. If your gut tells you it’s not right for you, step away and say you will walk around and make up your mind soon. Don’t be pressured!! 3. Ask for a sample: I always do this when I really want to test how this foundation looks against my skin in the comfort of my room and in natural day light. It’s very tricky asking for samples to try but I find that many sales ladies are happy to give you something to try provided you approach them like a potential buyer. If you went to a counter and requested for a sample straight off the hook, they may give you but very reluctantly. Instead, ask some questions about the product and show genuine interest and seek their opinion, that way, you are most likely to get a nice sample and a little extras. 4. Go with a friend: This is always a fail safe way to ensure you get the best opinion on the tested foundation provided you can trust your friend’s judgement and opinion. I prefer to go with my sister because I absolutely trust her opinion and she knows me and my skin really well and we have sister codes on good and nasty products which we use all the time without having to speak and upset any sales lady!! 5. Test on skin nearest to your face: Pretty straightforward you’d think? But no! A lot of people test foundations on the back of their hands (I only do this for swatches for the blog though!) and wonder why it does not match their skin on the face. This is because the skin on many people’s hands is not the same tone as their face due to a number of reasons. The complexion of my hands are very different to my face so I always try to test on my jaw or on my cheek because that’s the closest to my face. The jaw line is a good place to test because it is also nearer to the neck and it’s always good to ensure your neck matches to your face if you are wearing foundation. 6. Packaging: This is all down to preference but I have ignored many good foundations all because they had no pumps. I prefer foundations with a pump because it is less messy for me and easier to apply and less chances of cross contamination. This list is endless. While some pump-less foundations have pumps which you can buy on their own like MAC and NARS, others like Rimmel and some Revlon have no pumps. The actual packaging materials like glass or plastic bottles don’t bother me in the least. Plastic packaging are less glamorous except some Chanel Foundations which still manages to look glam even in plastic bottles but they are easier to travel with while Glass packaging are luxurious but they are could be quite heavy and difficult to travel with. 7. Finish: I think the preferred finish depends on what your skin type is; what look you are going for and weather conditions. Seriously, it all depends on preference. For me, I have combination-oily skin which tends to be normal during winter. 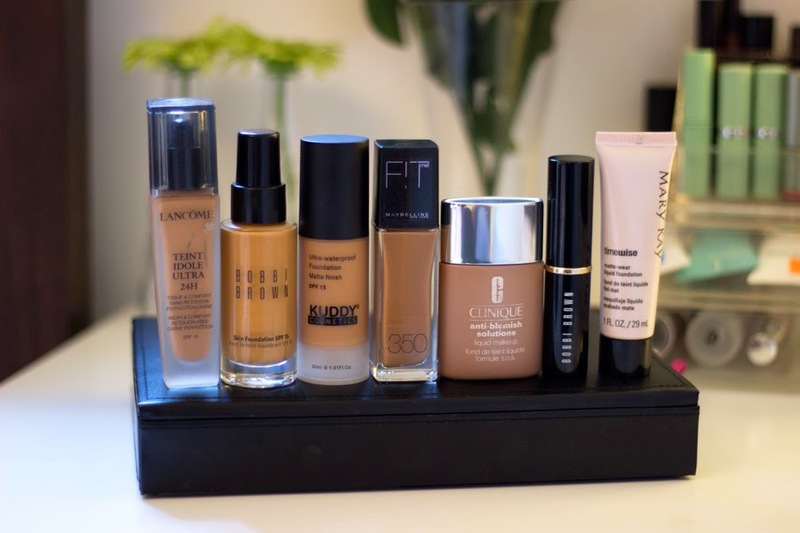 I prefer foundations with a matte finish most of the time because I find that they last a little longer especially when paired with a good primer and this is the best for me especially when it’s Summer and Spring. For winter, I prefer the dewy look so I like foundations with that luminous, dewy finish like the YSL Touche Eclat Foundation. It’s amazing!! Most people I know with dry skin, prefer dewy finish foundations like Chanel Vitalumiere because it does not cling to dry patches and keeps their moisture level in tip top shape. 8. Coverage: Coverage also depends on preference and how flawless your skin is or not. 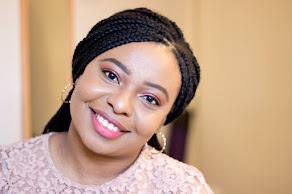 A lot of people go for full coverage on a daily basis when they can make do with a light-medium coverage and conceal any blemishes they may have. Personally, I have quite a few blemishes which are significantly darker than my normal skin. I use a good concealer like MAC Studio Finish to conceal and then use a light-medium coverage foundation like Bobbi Brown Skin Foundation or Kuddy Cosmetics Foundation. 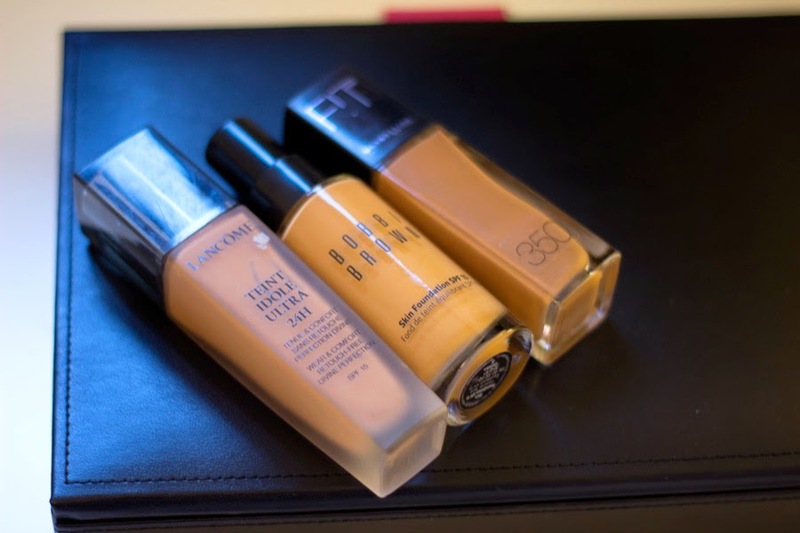 For summer/Spring, I have developed a preference to light coverage foundations and even BB creams although not many BB creams have been amazing on me (*gasps*). It does not mean my blemishes have disappeared but I think my skin feels much better with light-medium coverage foundation that is buildable. Full coverage is good when you are going for an event and want your skin to look perfect, flawless and last all night (or day). 9. Lasting Power: This is very much related to coverage because I find that most full coverage foundations last longer than light-medium coverage. I may be wrong but that’s what I have experienced especially without a primer. If you wear foundation every day, an average wear time of 6 hours or so is fine. If you go for events a lot, you may choose a foundation with a long lasting power. It honestly depends on your preference. Sometimes, I just want my foundation to last all day even when I am at work because I have a series of meetings I am dashing off to and I have no time to touch up in between. 10. 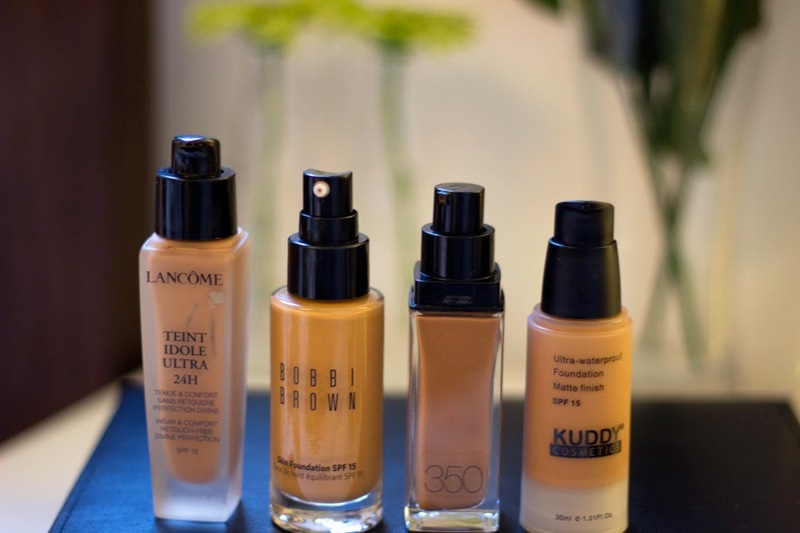 SPF or no SPF: It depends on what time of the day you are wearing foundation and what occasion. SPF in foundation is good as it adds that protection although the SPF may be quite minimal in content. During the day, foundation with SPF is quite good especially if you don't normally use SPF. If you choose to wear foundation in the evening for an event, SPF may not be necessary. Also, if you are going to take pictures, be aware that SPF in foundation may leave a white cast when photographs are taken..SPF has a flirtatious relationship with camera flash and cameras in general.. I wish I read this earlier, I bought the Revlon Colour stay foundation on Sunday and the sales lady tested cappucino. Sadly, beauty shops in Nigeria tend to not have samples. It looked fine in the building but once I came out I realised it was too dark. sighhh. 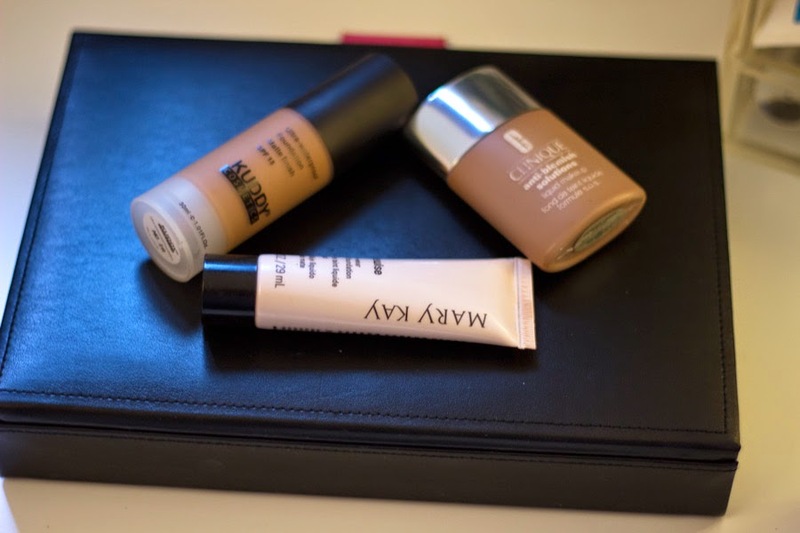 Could you possibly do a post weighing the pros and cons of your various foundations, especially the Mary Kay one.